Ms. Roualdes was raised in Sonoma, California. She is an alumnus of Saint Francis Solano School. She continued onto Sonoma Valley High School and graduated in 2007. She then attended Santa Rosa Junior College and studied general education and child development. 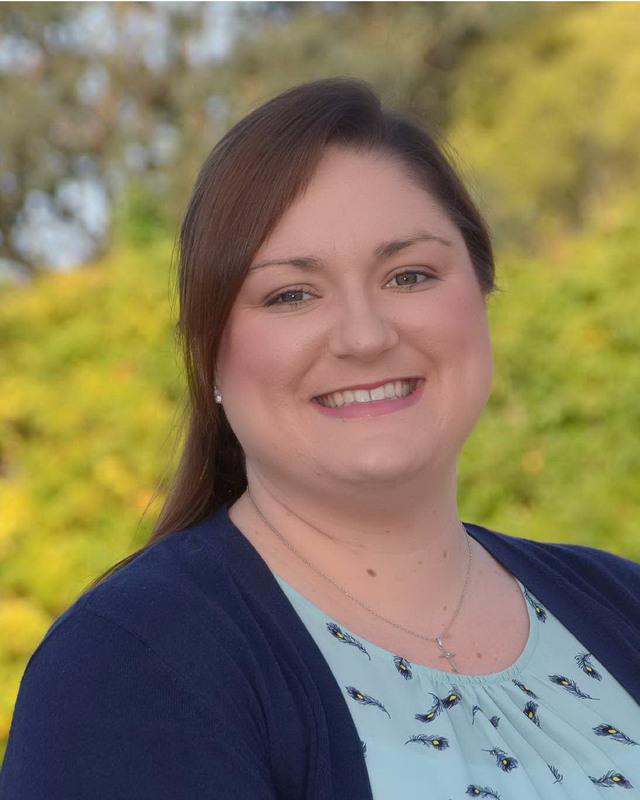 While attending the JC, she worked at Saint Francis Solano School in Children’s Center and was also given the opportunity to be an aide in different classrooms. Ms. Roualdes was then accepted into Dominican University of California, where she received a Bachelor of Arts in Liberal Studies and Teacher Education in May 2013. She then completed the Credential program at Dominican University in May 2015. Becoming a teacher and coming back to Saint Francis has always been her dream. In her free time she enjoys cooking, baking and spending time with her family. 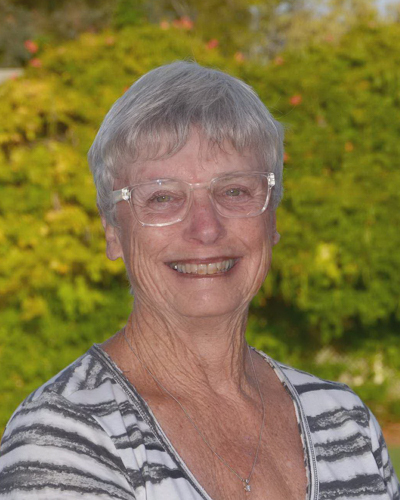 Carol Campbell attended College of Marin, Sonoma State, and Dominican College. When her family moved to Sonoma in 1978, daughter Michelle (now Mrs. Momsen, fifth grade teacher) entered first grade at our St. Francis Solano School. The following year, Mrs. Campbell became the “yard duty lady” grades 1-8, and 39 years later, she is still on duty for K-4. Both daughters and four grandchildren have graduated from St. Francis Solano, with one granddaughter to go. Mrs. Campbell is twice included in Who’s Who Among American Teachers. In 2005, she was featured in the “Index Tribune, Valley Life” for tutoring second generation students, a distinction she totally enjoys, as do her students. In March 2013, Mrs. Campbell was awarded the “Bishop’s Award for Excellence in Catholic Education” by Bishop Robert Vasa. She begins her 40th year as a classroom aide for many grades. Presently, Mrs. Campbell is the first grade aide, as well as supervisor for Lower Division lunch. She definitely loves our children! We learn to read by using phonics, picture cues, contextual cues and prior experience. We study sight words and learn common letter clusters. We learn comprehension strategies using story charts, venn diagrams, story retelling, story sequencing boards, and dramatic interpretation. First graders learn to use functional phonetic writing as they begin the year. Their writing then transitions to writing complete sentences with proper capitalization and punctuation. First graders focus on writing for a specific audience, noting details, and writing with voice. We focus on Life, Earth, and Physical Sciences beginning the year with a study of plants and animals. We move on to study nutrition and good health habits. We study the seasons, weather, observation and measurement. We conclude the year with the study of solids, liquids, and gases. We study the world around us first learning how to read and create timelines, then learning how to read and create simple maps. We use this new knowledge to study our local communities and our global neighbors. One of our most special activities is joining the 8th graders to visit with the residents at Brookdale Home. The students sing, share holiday greetings and make new friends.